Shimla: Chief Minister Virbhadra Singh said the State government had laid special emphasis on adopting new and innovative policies for the conservation of the heritage and improvement of the habitat. He said the architecture of the State was unique in character and quite different from that of the rest of India. This exclusive style was reflected not only in the palaces and the temples but also in the vernacular architecture of the region. The major challenges that architecture in the State face was of soil erosion and landslides, suitable orientation on the hill slopes, limitations on the height of the building due to earthquake risk and above all high cost involved in the site development. 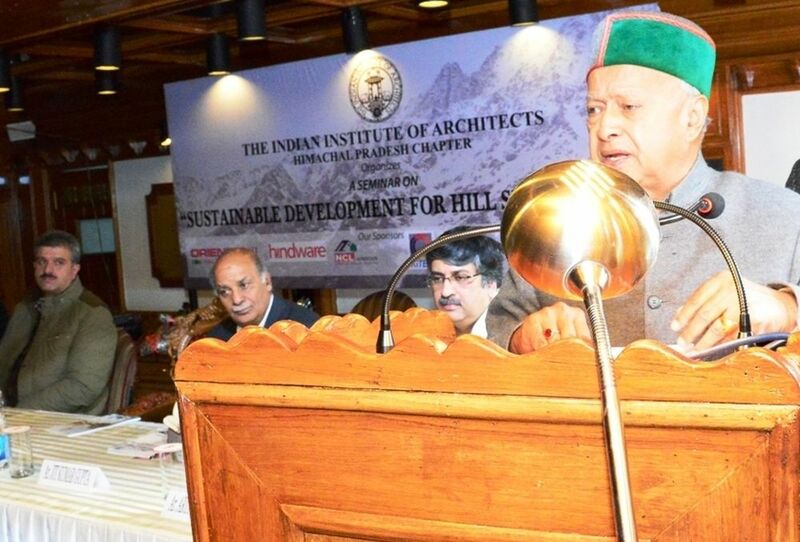 Virbhadra Singh suggested that while designing and planning, the architects should carefully understand climatic conditions, cultural influences and topography of the State. The Chief Minister also released the Souvenir “Sustainable Development for Hill Settlements” brought out by the HP Chapter of Indian Institute of Architects. Mayor Sanjay Chauhan, representatives of the HP chapter of Indian Institute of Architect, Deputy Commissioner Dinesh Malhotra and other senior officers of the State government were present on the occasion.